MSP mergers, acquisitions and valuations take center stage at Kaseya M&A Symposium in Florida. Live insights from Cogent Growth Partners, Onepath, Thrive Networks & more. Dozens of MSPs have gathered today in Florida for an M&A Symposium hosted by Kaseya CEO Fred Voccola and GM Jim Lippie. ChannelE2E is on hand to share insights from the gathering, which includes executive guest speakers from Cogent Growth Partners, Onepath and Thrive Networks. Kicking off the symposium, CEO Fred Voccola pointed out that the company is not necessarily advocating MSP M&A. Rather, the gathering is about sharing data points and observations with the industry — so that MSPs can make more informed decisions about how to build and manage their businesses. “Talent, service delivery and M&A should be the top things MSPs are thinking about in my opinion,” Voccola says. 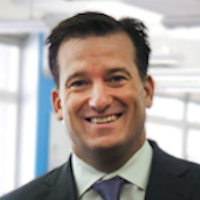 Voccola described the history of the MSP market, tipping his hat to those who helped to pioneer the industry — including Kaseya founder Gerald Blackie (he left the company a few years ago following a private equity sale) and ConnectWise CEO Arnie Bellini. Voccola conceded that Kaseya and ConnectWise aren’t necessarily the best of friends, but ConnectWise deserves credit for helping to pioneer the market at a time when Dell and the Internet came along and squeezed traditional reseller product margins, Voccola says. Voccola expects the MSP market to nearly double in size from 2011 to 2021 — growing from 85,000 MSPs to 167,000 MSPs. He hesitates to use the word “consolidation” amid such growth. But certainly, M&A is happening in the market. For MSPs, M&A gives you the ability to scale in terms of cash flow, access to credit, your margin for error and access to a larger network. Stephenson, like Lippie and Voccola, pointed to private equity moving hard into the MSP space over the past year. PE firms see a lot of IT spend shifting to Amazon Web Services and Microsoft Azure, and want to figure out a way to capture that revenue in some manner. MSPs are a means for PE firms to achieve that goal, he says. Do you have a sustainable go-to-market strategy? Do you have positive momentum? What are your compensation rates? Do you have a logical explanation for [insert business problem] issue, and did you proactively solve it? Ideally, MRR should be greater than 50 percent of total revenue. Also, Long-term contracts should be at least one year with auto-renew. On the customer front, have fewer than 10 percent churn per year. Ask Stephenson for more MRR and business metrics here. He shared a ton. More thoughts from Stephenson: Most acquiring companies want to do an asset transaction — not a stock transaction. Make sure your contracts are in order. Think about employee handbooks and employee agreements to ensure your HR house is in order. Overall, remove emotions from the M&A discussion process. Next up is Murphy. Cogent is a buy-side MSP advisor that turns eight years old this week. The company has advised on 89 M&A deals to date. While much of the M&A industry conversation involves valuation, Murphy prefers to focus on value — the true value that MSPs build into their businesses. M&A is not about top-line revenues. Rather it’s about profit and gross margin — and that true value rather than valuation. Careful of suffering from “top line” disease — which means you chase revenue, hire too many employees, and potentially overpay tenured employees. And that, in turn, can lead to credit line addiction. Sellers, he says, need to think like buyers — and what your company is potentially worth to the buyer rather than what it’s worth to the seller. Sellers should be obsessed with free cash flow to show their business value. “You exit strategy is daily liquidity and daily cash flow, and managing that,” he asserts. Murphy shared a bunch of “myth busters” to help MSPs reframe the M&A conversation. Ask him about those myths — they’re worth a lengthy conversation. Cogent coined the term “opportunity-delta” to better represent the difference between the seller’s and buyer’s perspective of a purchase price. Also, keep in mind that the buyer wants to achieve a break-even point from the purchase within five or perhaps six years — but closer to four years is more ideal for the buyer. That math has to figure into the seller’s perspective. Keep checking back for more updates and details. Cissel sold his company — Internet & Telephone — to Onepath, a PE-based IT services provider. He described his overall MSP journey to attendees — including a range of M&A deals over his past 22 years in the market. Join a peer group to ascertain your company’s business value, and to increase your enterprise value. Put together a data room and keep up to date on a quarterly. Differentiate between those that have money and those that don’t — everyone from search funds to brokers, investment banks, PE firms and more. Tip to readers: Ask Paul for a list of financial sponsors — it’s comprehensive, and it describes the key traits of each prospective buyer/investor/financial sponsor. Make sure you’re aligned with your spouse at home and partner at work in terms of minimum offer you’ll accept. And always imagine life after closing. Find true experts — attorneys, financial advisors, etc. — that specialize in M&A. Don’t use your all purpose folks for this. Form an advisory board — people who have “Been there, done that” on the M&A front. Beware of the “Retrade” — a buyer who at the 11th hour cuts the offer price right when the deal was at the finish line. The buyer or investor may claim due diligence revealed a quality of earnings issue or something along those lines. Check this live blog every few minutes for insights from executives representing Cogent Growth Partners, Onepath and Thrive Networks.